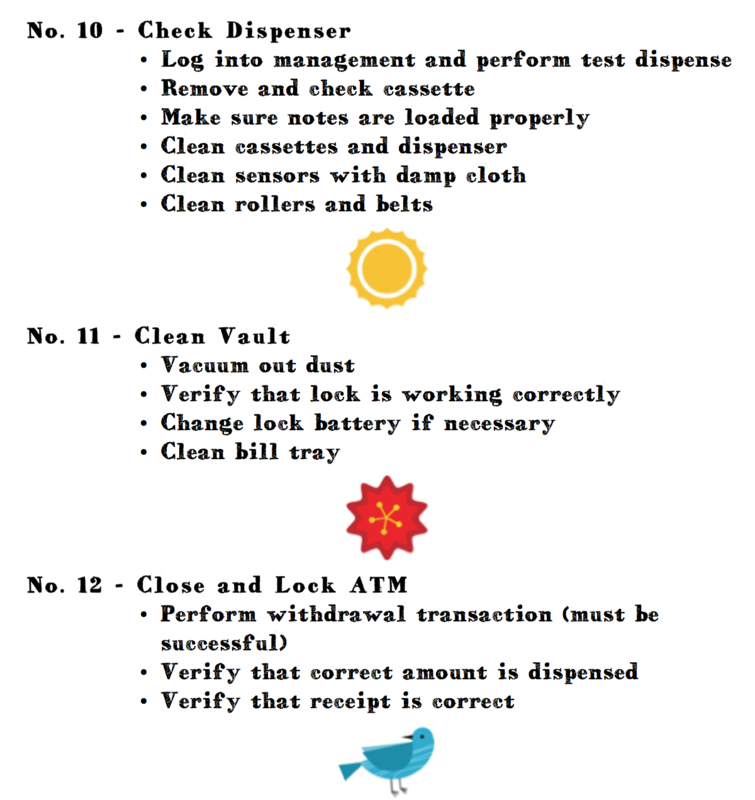 How often do you or a technician visit the individual ATMs in your fleet? 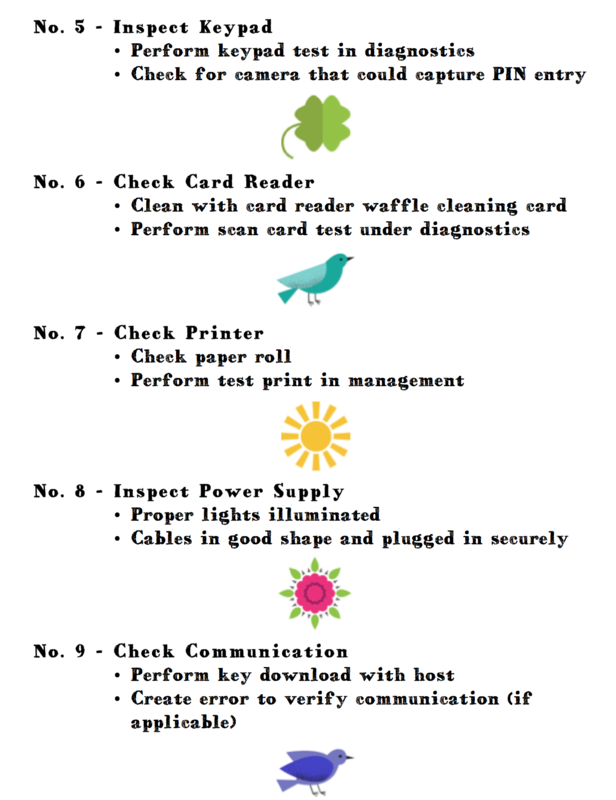 When you do go out for a site visit, do you take an action list of items to check off during the visit? Regular ATM maintenance can help keep your fleet running smoothly and save you money on parts and repairs in the long run. 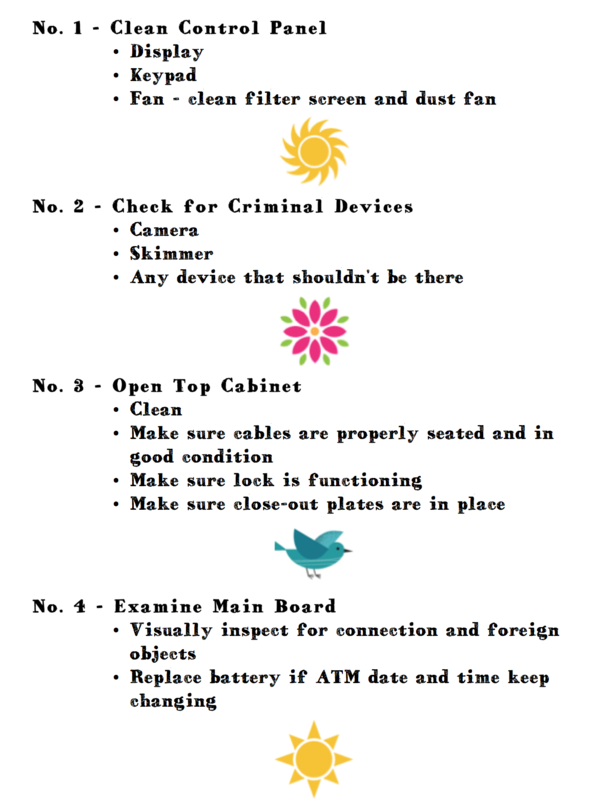 And the arrival of spring offers the perfect opportunity to spruce up your ATM fleet and make sure that every machine is in peak operating condition before summer’s heat arrives. Following is your top-hat-to-toe-kick ATM checklist, courtesy of Triton Systems and ATM Gurus. You can download a single-page version of the list without graphics here. 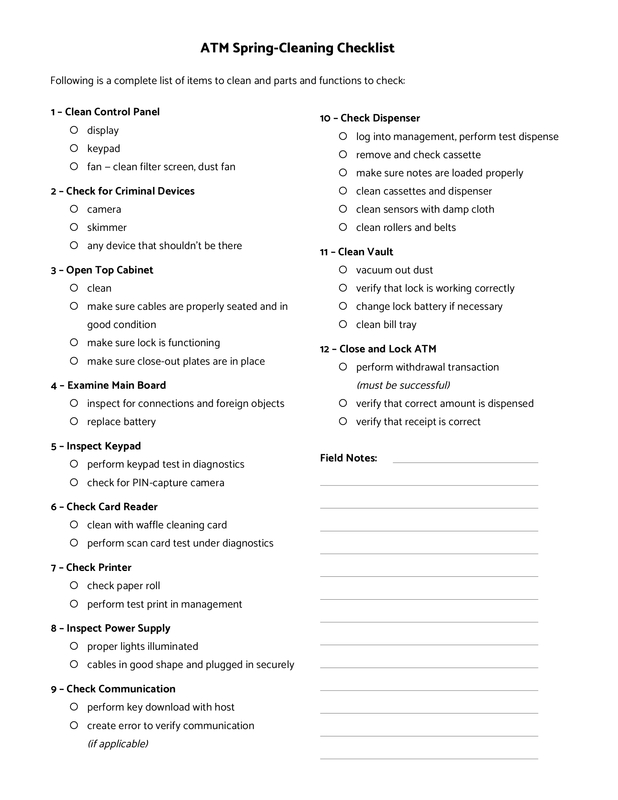 Download the single-page checklist without graphics.